Floor Model Hot Tub Clearance Pricing – $500-$1500 off! 0% financing* for 36-60 months on all Bullfrog Spas Hot Tubs. 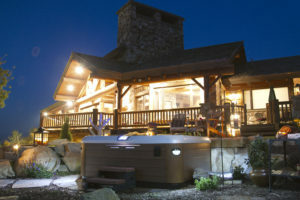 This special financing is available for all Hot Tubs, including Floor Models *for qualified buyers! Or choose more savings by taking advantage of our mail-in Rebates. We still have some Bullfrog Spas Floor Models left with discounts from $500-$1500 off as well an amazing $10K discount on our our HydroPool Swim Spa Floor Model. Call us or stop by for details. Of course you may not be interested in a Floor Model and instead prefer to design the Hot Tub or Swim Spa of your dreams. “How much will my Hot Tub or my Swim Spa cost?” has to one of our most frequently asked questions. 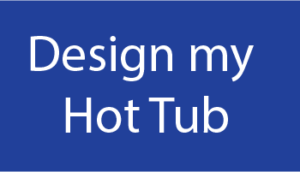 The best and quickest way to find out how much your dream hot tub will cost is to design the perfect spa for you with our online tool. It’s easy, fun, only takes a few minutes. Click here to Design Your Spa and Get a Quote. Shortly after you complete your hot tub design, we will follow-up with pricing and additional information about your Bullfrog Spa. You can also design the HydroPool Swim Spa of your dreams online and we will respond with a quote and more information about your HydroPool Swim Spa. 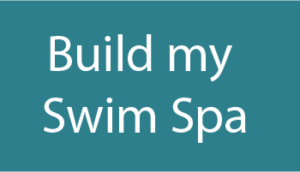 Click here to Build Your Swim Spa and Get a Quote. Not ready to start Designing? You can learn more about Bullfrog Spas and HydroPool Swim Spas and browse the many options right here on our website, or contact us for an appointment or questions. Spring is here. Evenings are longer, the sun is warmer and there are so many opportunities to enjoy Maine’s beauty, charm and way of life, including watching the sun set in your new Bullfrog Spas hot tub or playing and swimming in your own HydroPool swim spa. Let us help you upgrade your fun-loving, active, lifestyle and home. Enjoying life is the “Way Life should Be” in Maine, NH and a little beyond.